An incredible story of one teacher's experiences teaching elementary school. Raised in the south, while dealing with the racism of the area, the author works her way through college to become a teacher. Taking her first job in Ohio, she excels. Then her husband's job transfer takes her back to the south, where she finds that racism and sexism is still alive and thriving. My God, how can there be people who are still so ignorant and prejudiced in America today? It truly sickens me what the author went through. How, in today's world, can a school principal and his cronies go on an excursion to rank all of the teacher's looks on a scale of 1-10, and post the rankings on the classroom doors? Incredible. The author, despite all she experiences, never gives up. She relies on her faith and strength of conviction to continue to teach. There are so, so many great quotes in this book. I must have highlighted a hundred or more! But I won't ruin any readers experience by sharing them in this review. 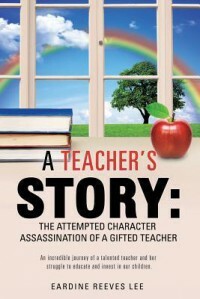 In the end, the author gives lists of advice for teachers, students, administrators, and parents. We would all be better people if we could each try to practice the ideas in our lives! 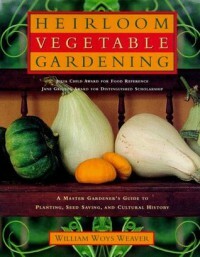 An excellent, and extensive book of heirloom vegetables (almost 500 pages!). The author has been saving old vegetable varieties his entire life, with some of the seeds from his grandfather from the 1930's! He also includes a very comprehensive history of people saving seeds. The list of plants is very extensive, from artichokes to yams. Each vegetable gets a thorough discussion. 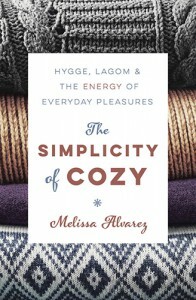 This is the kind of book that you want to read over and over again, especially when one is stuck inside on a cold winter day, and are dreaming of what to plant in the spring. This book is confusing to me, at the least. It claims to be, in his words, an "education that gives the devil-and his death's head- his due. It gives respect and recognition to the righteous god who placed the tattooed flesh and the crossed bones into the body of modern biker culture". Sounds ominous, doesn't it? Like the author is really going to tell us something? No, what the book consists of is a encyclopedic listing of motorcycle clubs throughout the United States. An occasional blurb by a member of a group, but nothing in depth. 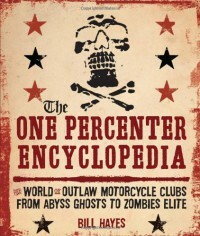 The author has managed to identify many of the "outlaw" biker groups in America. He gives a very brief, thumbnail sketch of each group. Information that could have been found in a simple search of the web. But, hey, at least the groups are listed all in one place. You could use the list to start more substantial research into the clubs. The author states in the beginning, "this book is dedicated to the positive energy and power of the motorcycle club community". He states that he is not interested in listing the "clean-living" motorcycle groups. He even presents an old, pre-internet, portion of a law enforcement manual about motorcycle gangs. Sure, it is comical in today's world, but, as a retired law enforcement officer myself, it is what we had available to us at the time. Laugh if he will at it, but I assure the author that the information law enforcement has today is much more serious and thorough. Also in the beginning, the author quotes a member of the Bandidos motorcycle group, defining what a "1%-er" is. "One percenter - it only means that we're the best....but all it means is we're the best of the best". I find that laughable, as I am sure the guy who told the author it does. I had 28 years of experience dealing with outlaw motorcycle gang members, including candid conversations with many of them while they were incarcerated in Federal prisons. One percenter means the member is deemed to be the worst of the worst, the 1% who openly defy societies rules and norms. And they are extremely proud of that status. And woe onto a guy who wears the patch without earning it. A true 1%er will teach him a lesson he will never forget. The author seems to have stars in his eyes, buying into the myth of a 1%er as a noble knight riding his horse. He fails to even touch on the seedier side of outlaw motorcycle gangs. The dealing of drugs, the stolen merchandise, the abuse of women. I would be willing to bet that there are true one percenter's out there reading the book and laughing their butts off at how naive the author is! It almost makes me wish I was still working, so I could share this with them and see their reaction. It's well past time to give President Carter his due. This book sets out to do just that. 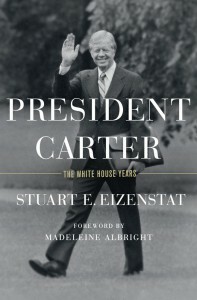 Eizenstat has had an up close and personal relationship with Carter for decades. One would think that this would mean that he would only see the "good" in the President, but he also points out the flaws. While Carter has been stuck with the "aw-shucks" depiction of his personality by the media, the truth is that he is a decent human being who cares deeply about the country. His fault was in taking on too much. Nobody can ever be the most informed and knowledgeable person about so many subjects. But he tried, mightily. Perhaps if he had not bitten off more than he could chew, and learned to delegate more, he would be considered one of the greatest Presidents. He certainly tried! Given the state of the White House today, I long for a return to having an intelligent human being occupying the Oval Office. One who reads and thinks before he acts impulsively. A return to an adult running the show! This is a LONG book. There is so much information in it, you would almost think Carter wrote it himself. I found it fascinating. You should read it, if for no other reason than to get the true story of the "killer rabbit"! This should be made into a movie! 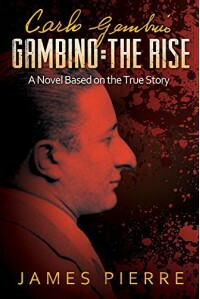 It's the story of Carlos Gambino, head of the Gambino family of the La Cosa Nostra. His beginnings, how he came to America, and his rise to become one of the major organized crime figures in America. And of the various "gangsters" he was involved with. It flows along very well. I thoroughly enjoyed it. As to those who are trying to diminish the author through the leaving of negative reviews.....it's a novel! It states that right on the front cover! So the author made some mistakes, having people traveling on the interstate instead of a highway. So what? Go with the story, which was the rise of Gambino. Quit being so negative. I, for one, cannot wait for the next installment of the author's story. I hope it comes out soon! As a "wanna-be" oenologist, I love reading books about wine. This one is a treat! Short, concise, easily readable, and in bite-size "sips", it would be of great benefit for anyone wanting a brief introduction into wine. 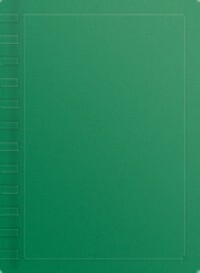 The book is divided into sections, then further broken down into 50 very short articles covering a wide range of topics. The sections are the vineyard, the winery, classic grapes and wines, history, iconic regions, the business of wine, and the enjoyment of wine. This would be a wonderful book to learn the basics. You can find out the difference between different types of wines and the grapes used to make them. Chardonnay, Pinot Noir, Syrah, they are all covered and explained. Learn about the different regions wine comes from....Bordeaux, Tuscany, Napa Valley. Learn how to taste wine. Have you ever been at a party where one of your wine "snob" friends are going on and on about a wine? By reading this book, you can offer one of these tidbits to show them that you, too, are conversant on the subject. That alone is worth the price! An outstanding, incredible body of work! Updated now, to include lots of methods of online help to assist you in your searches. From beginner to expert, everyone interested in genealogy could benefit from this book. And you will be referring to it, over and over again. This is a good resource for parents to use to tread the dangerous waters of dealing with teenage daughters. Very easy to read. There is a lot of good information in here. Even if you do not agree with all of it, it gives you a basis to start thinking about how you will respond when these situations come up (and they will). Be prepared! A modern day Swiss Family Robinson. The author imagines a scenario where solar flares wipe out all the electronics in our world. 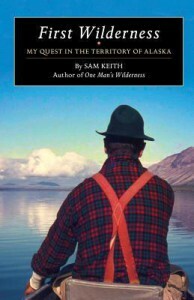 He does this through telling the story of a normal, everyday family in Alaska. The main character is a (possibly slightly autistic?) 16-17 year old boy in the family. After the flares, the family, along with some friends, relocates to the wilds of Alaska, to avoid the chaos occurring in the cities. The story progresses through the first seasons spent in the wilderness, the struggles, stumbles, and triumphs. It really takes hold in the final third of the book, when outside influences occur. I don't want to give away too much of the plot. I enjoyed the story very much. It was not anything earth-shattering, as I said before, it was a modern day Swiss Family Robinson. But the ending! Wow! Just when you thought you could see how it was going to wrap up, the author throws a huge wrench into the mix. I was very surprised! 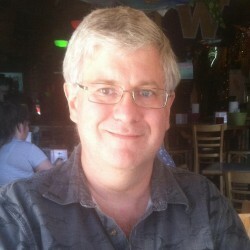 It enables the author to really keep the story alive, and to greatly crank up the action. I can't wait for the next installment! This is a tough book to review. It left me feeling sad. While I was somewhat amused by the author's take of the Netherlands and the Dutch people, the main subject matter of the book is disturbing. Several (many?) years ago, the author spent a semester of law school in Amsterdam studying International Law. At least, that was what he was supposed to be doing. His real motive in going to Amsterdam was to indulge his voyeuristic tendencies and explore the "red light" district. He wanted to discover why women chose a life of prostitution. And to write a book about it. To do this, his methodology was to hang around the district, trying to befriend prostitutes, to get them to open up to him about their career choice. He found himself shut down, time after time. Eventually, he finds one woman who indulges him, meeting him for a few lunches. On his last night in Amsterdam, he finally convinces her to meet with him and be interviewed. He then proceeds to drag the woman through hell, pulling out her darkest, most disturbing secrets about her upbringing and life. While this might be helpful if done by a trained psychologist, in a controlled setting, it most definitely should not be done by a untrained person, for the purposes of satisfying his own voyeurism! And, after he drains the woman of all her memories and shames, he just leaves her! Up and leaves the very next morning. That would be a sad enough ending for the book, but the author is not done. He returns a few years later, and finds the woman again. For what purpose, I have no idea. She has turned her life around. She's out of the prostitution business, is engaged, and has a young child. But upon seeing the author again, she tells him that she will give up all she has, all she has worked for, if the author will take her. And what does he do? He leaves her again! How cruel! So, here it is, several years later again. He finally writes his book. And ends it with the hope that the woman, who he has lost touch with, sees it. As if to torture her one more time. What a prick! Very informative! And timely! And terrifying! The author presents an interesting, well written book on the current crisis in North Korea. He delves into the history of the Korean peninsula, in a clear and easily understood manner. Into the Korean War. It's causes, and which world leaders were involved. How, after the war, North and South Korea developed, and how they got to the state that they are in today. And the history of the current North Korean leadership, it's quirks and goals. And why China continues to support the Kim regime, and why the US and Japan support South Korea. The author ends with his thoughts on the future of the Korean peninsula. While he does not (no one can) predict the long term future, he does identify several factors that can affect the future. In his opinion, the only way to peace is through intercession by China, and responsive negotiations by South Korea, Japan, and the US. Without which, we risk a nuclear disaster. This is a frightening book. You will not sleep well after reading it. But it is important to know what we are up against. Let's all hope and pray that it ends well. A highly enjoyable, fact-filled book. It is one that you can pick up and read a few entries, then set it aside until you have more time. Broken down alphabetically, it covers SO many subjects. Everything from absinthe (what it is, it's history, and how to prepare it), to wine (descriptions, history, types of wine glasses, and serving it). And much more! Ever wonder if you can get fast food in France (you can)? French perfume? This book will explain it. I could go on and on, but you get the idea. This is a really fun, easily readable book. If you have any desire to visit France, or are just curious, this is a great book for your nightstand! In the spring of 2017, I had the distinct pleasure to be able to visit one of my former exchange students at her home in Italy. While Giulia stayed with us in the U.S., she enthralled us with tales of her "Nonna's" (grandmother) cooking (and wisdom), and made us many delicious dishes that Nonna had taught her. It was wonderful, but meeting Nonna was even better! My goodness, for someone in her nineties, that lady could cook! Meal after meal, course after course, for Giulia, her family, her aunts and uncles and their families, and us! I have never had so many great meals! So, when NetGalley offered me a chance to read and review this book, I jumped at the opportunity. The author had her own Nonna. In fact, she jokes that she attended "Nonna's Brooklyn Basement Culinary Academy". That developed into her idea to start a cooking show, "Cooking With Nonna". She based the show on her grandmother's recipes. 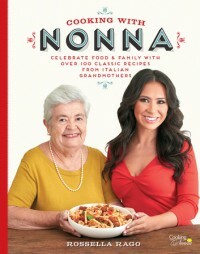 And that led to this book, a collection of 110 recipes from many Italian "Nonna's". And what a collection! There are a lifetime of great recipes to try. Rago breaks the book down into sections. Appetizers, Soups and Salads, Vegetables and Sides, Pasta (OF COURSE) and First Courses, Second Courses, Pizzas Breads and Savory Bakes, Desserts, and Cookies. So many delicious ideas! My wife and I have tried several already, and quite successfully. It gives us great pleasure to cook together. Hopefully, this book will tide us over for the next couple of years, to a time when my wife retires also, and we make the move to Italy. I can only hope that we will find our own "Nonna" there! A great book. Kudo's to the author for preserving these recipes, before they are lost to time! 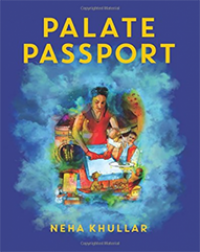 Khullar, in her journey to understand herself, has discovered the ability to embrace and appreciate the small things in life. She know she is fortunate to have had the opportunity to travel quite a bit. She found that one consistency in her journeys was food. Food was a common ground that brought people together. The book is about her experiences of these people, as well as their recipes. The recipes are great. From all over the world. And her descriptions of the interactions she has are even better. But where the book really shines is in the photographs. Beautiful, vivid photos that can make your mouth water! Here's hoping the author does a follow-up book!